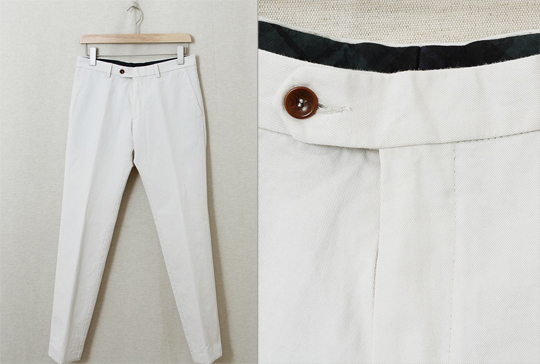 There’s something about white (or off-white) trousers that are just so fresh n’ clean. Case in point: these crisp trousers from Nitty Gritty. Expect premium quality materials, excellent fit, and lightweight construction which makes these perfect for the hottest months of summer. Available now at the Nitty Gritty online shop. This entry was posted in Pants/Bottoms and tagged Nitty Gritty. Bookmark the permalink.